Dami Im was born in South Korea on 17 October 1988 to Hae Yun Lee, a trained opera singer, and Dong Eal Im. Im began learning the piano at the age of five, and she taught herself to sing by recording herself copying her favourite artists. Aged nine, Im emigrated to Australia with her mother and younger brother because their parents thought they would have more opportunity growing up in Australia. She came to Australia with no English then learnt to speak through listening to Pop music like the Spice Girls and Mariah Carey and started recording her singing on her laptop. Aged 11, Im began studying at the Young Conservatorium of Music program at Griffith University. She was a national finalist in the Yamaha Youth Piano Competition, and won the Nora Baird Scholarship and the Queensland Piano Competition several times. Im attended John Paul College in Daisy Hill, Queensland and graduated in 2005. In 2009, Im graduated from the University of Queensland with first class honours in a Bachelor of Music. She subsequently completed a Masters of Arts degree in contemporary voice at Griffith University. After graduation, Im was working as a music and piano teacher. ""I played classical piano since I was 5 and did the highest level of exams in that when I was in Year 11, so I was high-achieving in the classical world. I knew though that I wasn't really in love with classical music; when I hung around other students in Uni who were studying classical music, they were so in love with it and I just wasn't. I was more into K-pop (Korean pop music) and artists like Mariah Carey, Christina Aguilera and Beyoncé, which meant that I struggled to fit in there, too". Im had a short career as a gospel singer in Korea, performing at Christian youth camps. In 2010, she released her debut studio album, Dream, which consisted of nine tracks and was recorded to raise money for church endeavours. In July 2011, Im re-released the album with two extra tracks, which were both sung in English. On 5 December 2011, Im released a Christmas EP called Snow & Carol. On 9 July 2012, Im released her second EP, Intimacy. 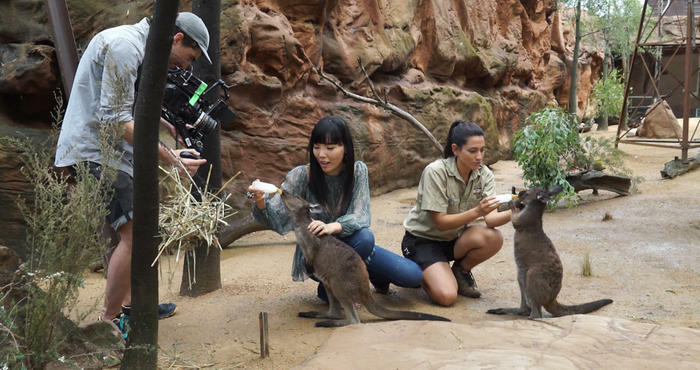 Travelling back and forth to Korea on short stints to purse her career was a short-term fix; in truth Dami wanted a pop career back home in Australia. "I had some gigs in small bars, churches and jazz clubs, but very few, to be honest. I really didn't know how to get my music out there, and I didn't have any connections. With my personality, I shied away from things that I wasn't sure about; I was afraid of meeting new people and putting myself out there, which of course didn't help." With the support of her husband Noah, Dami plucked up the courage to nervously audition for The X Factor 2013 with no real expectations. "When I decided to audition I was at the point where I just really wanted to sing in Australia, but I was so frustrated because I didn't know how to get that happening. My husband was encouraging me to try out new ways to get my music out there. He kept telling me not to be afraid of going out of my comfort zone; he just thought I was being too hesitant, and so he gave me a gentle push to try harder. I eventually agreed and decided to give The X Factor a shot.". Im successfully auditioned for the fifth season of The X Factor Australia, singing "Hero" by Mariah Carey. She originally failed to qualify to Over 24s category mentored by Dannii Minogue, but was subsequently called up as a replacement. With a strong relationship from very early stages with her mentor Dannii Minogue, Dami opened herself up to the super-stylish kaleidoscopic world of pop. "I think Danni saw what I had in me, even before I knew what was in me. She trusted that I had something special, and then it was up to me to work on my confidence. I really hadn't heard most of the song choices before she introduced me to them. When I first heard "One" by U2 – which was the very first song in the live shows – I was just like, ‘what is this?'. I really didn't understand how the song would work for me, but then we worked through it, and when we performed it the response was just amazing. All those standing ovations were just incredible.". Among the songs Im performed in the show were "I'm with You" by Avril Lavigne, "Jolene" by Dolly Parton, "If I Were a Boy" by Beyoncé, "One" by U2, "Purple Rain" by Prince (debuted at number 29 on the ARIA Singles Chart), "Don't Leave Me This Way" of Thelma Houston, "Roar" of Katty Perry, "Best of You" by the Foo Fighters, "Bridge over Troubled Water" by Simon & Garfunkel (debuted at number 15 on the ARIA Singles Chart), "Clarity" by Zedd, "You're the Voice" by John Farnham, "Saving All My Love for You" by Whitney Houston, "Wrecking Ball" by Miley Cyrus. "I think my two favourite performances from the show were "Purple Rain" and "Bridge Over Troubled Water". On both of those songs, I really connected with the lyrics and the emotion of the songs. I've always wanted to inspire people with my performances, and those songs really helped me to do that.". During the grand final performance show on 27 October, Im was required to perform three songs – her audition song ("Hero"), winner's single ("Alive") and last shot song ("And I Am Telling You I'm Not Going") (which debuted at number 29 on the ARIA Singles Chart). During the grand final decider show the following day, Im was announced as the winner. After winning The X Factor, Im's debut and winner's single "Alive" was released. She also received a recording contract with Sony Music Australia and a management deal. Four days after release, "Alive" debuted at number one on the ARIA Singles Chart. It was certified platinum by the Australian Recording Industry Association for selling over 70,000 copies. Im's self-titled second studio album was released on 15 November 2013 and featured studio recordings of songs she performed on The X Factor. The album debuted at number one on the ARIA Albums Chart and was certified platinum for shipments of more than 70,000 units. Im became the first X Factor Australia contestant to follow up a number one single with a number one album on the ARIA Charts. In November - December 2013, Im took part in the The X Factor Live Tour. Im's third studio album, Heart Beats, which included 8 songs co-written by Im, was released on 17 October 2014 and debuted at number seven on the ARIA Albums Chart. The album was preceded by the release of its first two singles, "Super Love" and "Gladiator", both of which peaked at number 11 on the ARIA Singles Chart, while "Super Love" also reached the top-twenty on the South Korea Gaon Charts and was certified platinum. "Ever since I was a teenager it was my dream to create my own album made up of songs that could represent who I am. I dreamt of writing original songs, selecting them, recording them, and coming up with a perfect title and the perfect image to accompany it all. I wanted the album to fully reflect myself: a true representation of the person I am every day. After the most incredible year of opportunity, success, and support, the dream that made my heart beat became a reality". 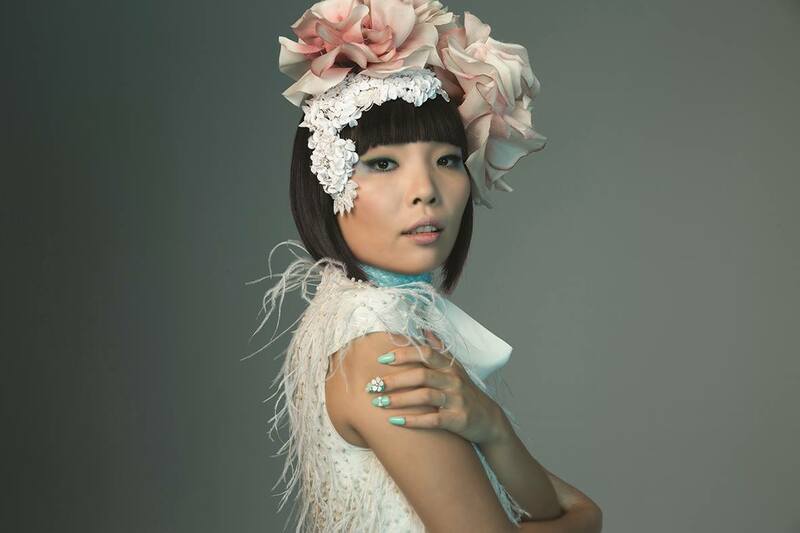 On 25 October 2014 Dami Im has represented Australia in ABU TV Song Festival with "Living Dangerously". "Classic Carpenters" is the fourth studio album by Dami Im to be released on digital retailers on April 22nd via Sony Music Entertainment. This new music project is a collection of cover versions of some of The Carpenters' biggest songs. On 03 March Dami Im was announced as 2016 Eurovision Song Contest entrant on Sydney Opera House stage by 2014 winner Conchita Wurst and Australia's first ever Eurovision contestant Guy Sebastian at the Conchita: From Vienna with Love concert. 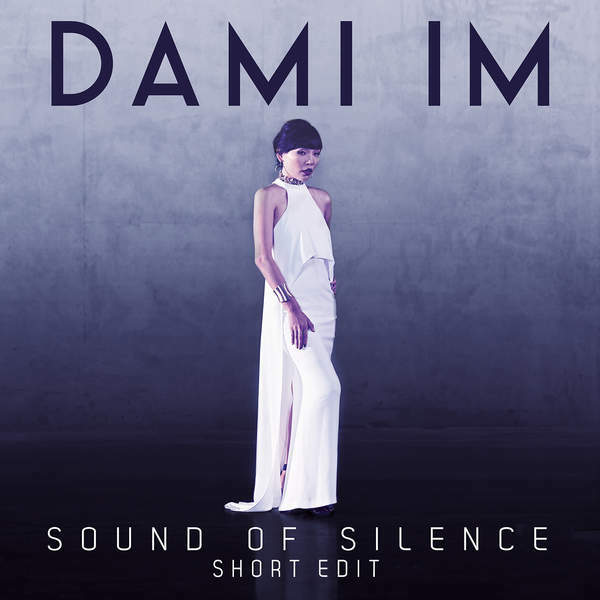 The song Dami "Sound of Silence" will sing on the Eurovision stage was released worldwide on 11 March. "I am so thrilled and honoured to be representing Australia at Eurovision this year in Stockholm. I am really excited to be following in the footsteps of Guy Sebastian and Jessica Mauboy who have both graced the Eurovision stage before me. I truly believe that the Australian public and Eurovision fans around the world are going to love the song I will be performing in Sweden. I cannot wait to showcase it to the world and represent Australia to the best of my ability! "All my life I felt like I didn't belong anywhere. I remember the first time I watched Eurovision with my friends, I thought that is where I belong. The amazing vocals, the elaborate costumes, everything was crazy but it was perfect. Being a part of it is like a dream come true. Eurovision brings people together through music". 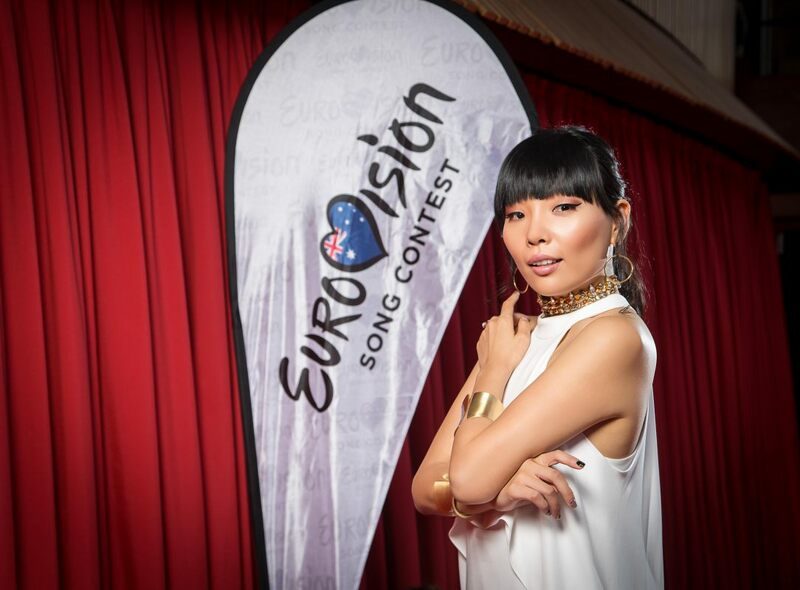 Now Dami Im promises she will be bringing her own unique and fashion-forward look to the Eurovision stage. Julia Zemiro and Sam Pang as usually will comment the show for SBS Australia live from Stockholm. The contest will be broadcast on SBS's Eurovision Weekend - 7.30pm Friday 13, Saturday 14 and Sunday 15 May, with the prime time broadcasts featuring artist interviews and behind the scenes clips. Eurovision fans can also tune into SBS's LIVE early morning Semi Final and Grand Final broadcasts on Wednesday 11 May (Semi Final 1), Friday 13 May (Semi Final 2 featuring Australian performance) and Sunday 15 May (Grand Final). The public will have a say in which act receives Australia's 12 points, and this along with a pre-selected Australian jury of music industry professionals who will be announced in the coming weeks, will help determine the 2016 Eurovision winner. - Hello, Dami, and first of all congratulations for being selected Australian representative at the Eurovision Song Contest 2016. How do you feel now being the Eurovision participant? - I am so thrilled and honoured to be representing Australia at Eurovision this year in Stockholm. I am really excited to be following in the footsteps of Guy Sebastian and Jessica Mauboy who have both graced the Eurovision stage before me on behalf of Australia. I have always had such respect and admiration for the Eurovision Song Contest and to be representing my country is such an honour for me. This is by far the biggest experience of my life and I am going to give it my very best shot and enjoy it! - How did the Eurovision participation come along? Were you approached by the broadcaster? What was your initial reaction to the idea? My fans aka the ‘DamiArmy’ have been campaigning for me to represent Australia for 2 years. They were so persistent that the Broadcaster heard about it and found my videos of past performances and got in contact with me. When I got asked if I was willing to participate, I had to ask if it was for ‘real’ or was it just a test for me? I had goosebumps for many days thinking about what it all meant! - How would you sum up your entry “Sound of Silence” in one phrase? ‘Sound of Silence’ is about the loneliness you feel being away from someone you love. It's also about feeling disconnected because these days we live in a world where it is easy to be connected every minute of the day but along with this connection you can feel alone and isolated. - Can you tell us more about the story of its creation? Was it written specially for the Eurovision, or how did you choose it for the contest? The first time I heard Sound of Silence I knew it was the perfect song for me to perform at the Eurovision Song Contest and I can’t wait to showcase it live in Stockholm! Sound of Silence was written by Australian hit makers DNA Songs (David Musumeci and Anthony Egizii) who have written for some of the biggest names in pop music, including Ricky Martin, Jessica Mauboy, Nathaniel, Delta Goodrem and The Veronicas. - Any plans to record versions in other languages or may be to produce remixes? - I have a 7th Heaven dance remix coming soon after the Eurovision performance which I am so loving. Cannot wait to let you all hear it. - Any hints on the stage performance already? Perhaps you can introduce us someone of backing singers/dancers/musicians who will join you on the stage? Who will be working with you as stage director of your performance? - I want my performance to be interesting and spectacular to watch for the viewers, but also want to ensure I connect with the audience in an intimate way. I am working with a team of amazing people to help me create that through stage design, movements and costume. Stay tuned! - Outfits are very important part of song presentation, do you already know what you will be wearing on the big night, or what do you want to wear? - I absolutely love fashion so I'm very much looking forward to showcasing my outfit! I can’t give too much away yet, but I am in discussions with some incredible Australian designers and I know it will be beautiful and unique. - You have also filmed a music video for your entry, can you tell us more about that? - It was such a fun process coming up with the concept for the video! There were lots of brilliant ideas but we just had to really focus on communicating the message behind the song. I'm in a car on my own, there is a dancer around me and a lot of smoke. I try to touch him but cannot. I tried to visually express how I want to get closer to the man I love but how it is impossible to do so. - What is the aim you set for yourself at the Eurovision Song Contest? - My first goal is to perform my best at the Semi Finals and hopefully get to the Grand Finals! If it’s not too crazy I dream of winning and bringing the competition to Australia, but I try not to think about the outcome and instead aim to connect with the audience. - What is your plan of preparations for the contest? - I want to feel confident and ready. I will rehearse every day and look after myself so that I’m in the best possible shape. - What is the most difficult part in Eurovision preparation process for you? - Getting over the nerves! Coming to terms with how big this competition really is, as well as trying to remain calm and confident. - Any plans for the promotional appearances? - I will hopefully be attending some of the pre-parties in Stockholm! I’m very excited about that. We have an Australian fan party and I will just enjoy the atmosphere for the two weeks I am there beforehand. Afterwards, we will just need to wait and see what happens! - Have you already managed to hear any other competing songs from other countries, any personal highlights? 1 Sweden's 'If I Were Sorry' by Frans. It is so catchy and I like how it's a bit folky as well. I love Frans' voice, too. 2 UK's 'You're Not Alone' by Joe and Jake. I love that it's such an upbeat song and also the fact that one of them plays the guitar. And of course 3 Russia's 'You Are The Only One' by Sergey Lazarev. It's such a cool electro track and the clip is amazing. It has got fire, wind, smoke and dancers and I think it will be amazing to see this on stage! - Have you been following Eurovision in the past? What was your reaction when Australia was invited to compete in it last year? - I have always loved watching Eurovision with my school friends. I was so excited when Australia was invited last year to compete for the first time! We always wanted to join the fun so we're super thrilled that we were invited. - As Eurovision will take place this year in Sweden, one of our regular questions this year is if you can name your favourite ever Swedish Eurovision or Melodifestivalen song? - I would have to say Waterloo by ABBA! - You’ve just released a Classic Carpenters album, can you tell us more about it? - I'm releasing a tribute album this year in April full of The Carpenter's songs. I've always loved their music which is timeless and so beautiful, this is a very special project for me. I will then commence my first national Australia tour in July which I am so excited about! If you are in Australia you must come and say hello! - Finally, if you wish to leave any message to the visitors of our site please do now now. - I cannot wait to meet fans and all of the other contestants very soon! You are all incredibly inspiring. I hope that I can bring you some excitement and amazement from Down Under!! - Thank you for the interview, good luck with your preparations and see you in Stockholm! The 2016 Eurovision Song Contest will take over Stockholm, Sweden from 11 May with contestants from 43 countries set to compete. SBS Radio invites fans to kick off Eurovision celebrations early with SBS Eurovision Radio, a non-stop soundtrack to the world's biggest song contest, broadcasting 24 hours a day from 1 to 15 May. SBS Eurovision Radio will be available on SBS Radio 4 on digial radio or you can stream online or via the SBS Radio App. Listeners can request their favourite Eurovision tracks via twitter with the hashtag #sbseurovision and enjoy back-to-back Eurovision hits and classics. SBS Eurovision Weekend will be broadcast on SBS TV on Friday 13, Saturday 14 and Sunday 15 May starting at 7.30pm. SBS’s all-time favourite duo act, hosts Julia Zemiro and Sam Pang, will be poised and ready from the commentary booth in the Globe Arena in Stockholm to guide Australians through the meatballs, music and madness that is Eurovision. This year, a third member is added to the team as television, film and theatre star and Eurovision aficionado Toby Truslove puts on the sequins and shimmys into place as behind the scenes reporter; backstage to give Australians an access all areas pass to the preparations to the big contest. Unlike last year where Australia was a wild card entry straight to the Grand Final, Australia’s contender, Dami Im, will compete in Semi-Final 2, and must get enough votes to go through to the Grand Final. Australians will be able to vote in the contest during the early morning LIVE broadcasts and join in the conversation using the hashtag #sbseurovision during the interactive evening prime-time broadcasts with tweets and party pictures on screen. Eurovision fans can tune into SBS’s LIVE early morning Semi-Final and Grand Final broadcasts on Wednesday 11 May (Semi-Final 1), Friday 13 May (Semi-Final 2 featuring Australian performance) and Sunday 15 May (Grand Final). Today Dami performed on Australian TV her cover of Prince’s Purple Rain. This is a special song to Dami, as she performed it during her time on The X Factor Australia, receiving a standing ovation, and eventually going on to win the 2013 competition. Australia had narrowly avoided Eurovision trouble on a technicality after complaints Dami Im's song Sound of Silence broke competition rules. The controversy centred on the lyric: "Trying to feel your love through face time". 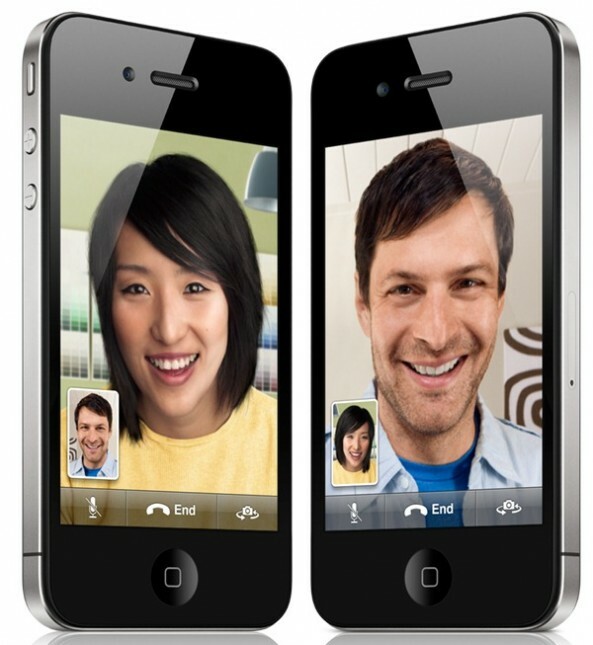 Of course, FaceTime, the Apple-branded video chat function available only on Apple devices comes to mind. But Eurovision rules prohibit "messages promoting any political cause, company, brand, products or services". Coupled with the lines 'But baby you're not here with me' and 'I keep calling, calling', it's reasonable to assume Im and her songwriting team, DNA, was indeed talking about FaceTime and not "face time" which according to the Macmillan dictionary means "time spent with other people rather than communicating with them by phone, email or on the Internet". But that latter definition doesn't really make sense with the rest of the song. Luckily that was not how the Eurovision Song Contest Reference Group ruled, apparently overlooking the song's meaning. It released a statement which said: "The lyrics of the Australian song are presented as two separate words, 'face time' and not FaceTime which is an Apple trademark"
Had that ruling gone against Australia it probably would not have meant disqualification. Instead Im would likely have been asked to rewrite the lyric, as several countries have done in recent times including San Marino in 2012 (it's reference to Facebook had to be changed to "social media") and Ukraine in 2005. Despite an indifferent reception from the Australian public - Sound of Silence reached only no.68 on the ARIA singles chart - the song has Im rated amongst the favourites for Eurovision 2016 by bookmakers, Sydney Morning Herald reported. In the lead up to her Eurovision debut at Stockholm in May, Dami is sharing weekly vlogs with her fans featuring an exclusive first glimpse behind the scenes as part of her preparation. 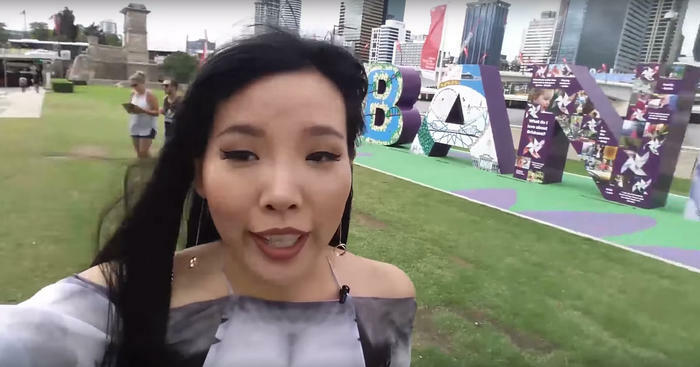 This week Dami shared a look some home made selfie-style vids of herself in Brisbane ahead of her live cross to The Feed where she debuted a first look at her stunning new music video for her official song entry, 'Sound of Silence'. She also shared an exclusive first look at the onstage choreography for her upcoming performance as she takes fans behind the scenes at her movement workshop. We felt particularly sorry for a sleepy Dami in her hotel room as she was having her makeup done at 4am ahead of her breakfast television appearances to promote the new song. Check out Dami's vlog here. 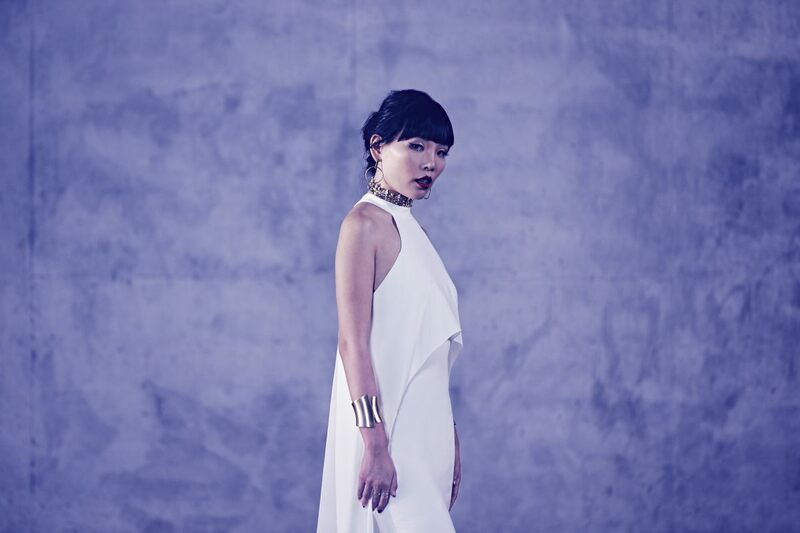 Dami Im will sing her new song Sound of Silence at the 2016 Eurovision Song Contest in May. Sure to make an unforgettable impact on the Eurovision stage, this powerful mid-tempo track has an anthemic feel and a big, catchy chorus to fill the arena in Stockholm, allowing Dami to showcase her signature vocals and style as an artist. Sound of Silence is written by Australian hit makers DNA Songs (David Musumeci and Anthony Egizii) who have written for some of the biggest names in pop music, including Ricky Martin, Jessica Mauboy, Nathaniel, Delta Goodrem, Timomatic and The Veronicas as well as penning Dami Im's X-Factor winner's single "Alive". 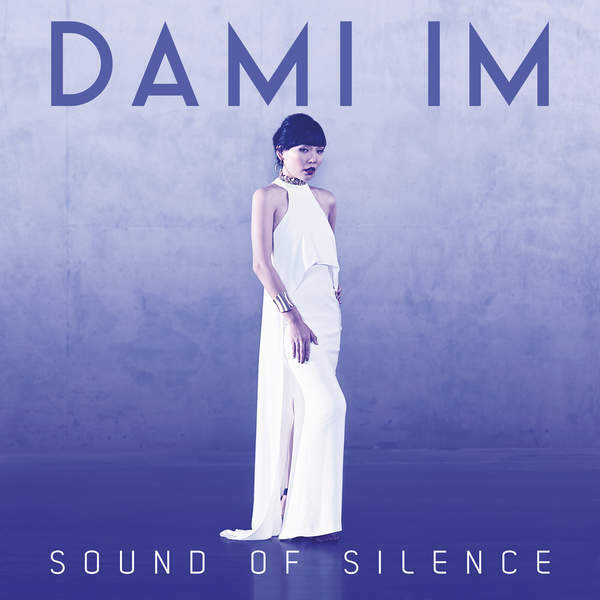 Dami Im said: "The first time I heard Sound of Silence I knew it was the perfect song for me to perform at the Eurovision Song Contest. There are many ways to interpret the meaning around a song, but one theme that I relate to in Sound of Silence is that of disconnection and being away from the people in my life that I love. We live in a world where it is easy to be connected every minute of the day but along with this connection you can feel alone and isolated. I can't wait to perform it live in Stockholm and connect with a whole new audience". Denis Handlin, AM Chairman & CEO, Australia & NZ, President Asia, Sony Music Entertainment said: "Dami is an exceptional Australian artist with her success recognised through multiple ARIA accreditations and her achievements across Asia. It is such an exciting opportunity for Dami to be the second contestant for Australia at the Eurovision Song Contest. Her selection is a testament to her dedication, show-stopping voice and dynamic artistry. Dami is an artist who will capture the world's attention and win the hearts of Europe, with Sound Of Silence the perfect song for her. We are delighted to be partnering with Michael Ebeid and SBS along with Paul Clarke from Blink TV again this year. I am very proud that Dami has the opportunity to showcase her incredible talent with the rest of the world". Paul Clarke, Australian Head of Delegation and Director of Blink TV, SBS's Eurovision production partner, said: "Sound of Silence is a cracker of a song and it was wonderful to work closely with David and Anthony from DNA. It really plays to Dami's vulnerability in the verses and shows her awesome vocal power in the chorus. It's a perfect song to create something eye-catching for the Eurovision stage with dramatic staging and lighting. That's all underway, and it's getting very exciting." David Musumeci & Anthony Egizii of DNA Songs said: "Sound Of Silence is about feelings of nostalgia, distance and missing the one you love. It's about how chasing your dreams can sweep you up in a wild rollercoaster ride and take you away from those closest to you. It explores the irony in how the ride can lose its lustre if you can't share it with the person you love the most. It's an absolute privilege and delight to have Dami Im sing our song to represent Australia, and share the stage that brought us superstars such as ABBA and Celine Dion. To have our song received on such a world stage is a dream come true". Sound of Silence is released worldwide today by Sony Music and available for purchase now on iTunes in two versions: full version and Eurovision edit. SBS Australia has released today two extracts of the music video for the "Sound of Silence" - Australian Eurovision 2016 entry performed by Dami Im. Im and Sony teased the moody video clip with 23 seconds of the first verse, released on her twitter feed around Australian lunchtime on Thursday, but the chorus was held back until Thursday night. Fans had to wait till another minute of Sound of Silence had its television debut on SBS2's The Feed. The song, released by her label Sony, will be available to buy on iTunes after midnight Australian time (14:00 CET) while full music video will premiere tomorrow on SBS Eurovision website. Im herself called the song a "mid-tempo ballad". As much as Sound of Silence is reminiscent of a Sia show-stopper like Chandelier, Australia's songwriting queen didn't have a hand in it. Instead it was was co-written by Im and the respected local songwriting team DNA, made up of Anthony Egizii and David Musumeci. They produced hits for The Veronicas (You Ruin Me) and Delta Goodrem (Wings), reports The Age. Dami Im was announced as 2016 Eurovision Song Contest entrant on Sydney Opera House stage by 2014 winner Conchita Wurst and Australia's first ever Eurovision contestant Guy Sebastian at the Conchita: From Vienna with Love concert. SBS have selected Dami as the perfect artist to capture Europe's attention with her unique personal style and show-stopping voice; an artist who is ready to showcase Australian musical talent to the world. Watch SBS World report here and SBS Pop Asia here. SBS Managing Director Michael Ebeid said: "Australia has embraced the Eurovision spirit for over 30 years on SBS, but we're a competitive nation, and last year with our very own contestant to cheer for and a chance of winning, Australia was completely captivated by the contest on the other side of the world. Reaching over 4 million Australians, it was our biggest Eurovision audience ever. We're thrilled to be welcomed back to the Eurovision family this year, and Dami is the perfect artist to take that next step for Australia on the world's biggest stage. The essence of the Eurovision Song Contest is about bringing countries together for a celebration of their diversity and culture through music, and it's that element which resonates so strongly with SBS's own purpose". Australian Head of Delegation, Director of Blink TV, SBS's Eurovision production partner, Paul Clarke said: "We are delighted to be invited to Sweden, and we feel we couldn't have a stronger competitor. Dami has huge musical talent, and her story is like a modern Australian fairy-tale. I expect Eurovision 2016 to be a thrilling, page-turning chapter for her, and for Eurovision fans. Dami's voice is so powerful and she has a distinctive style that I expect will capture the attention of Europe. I encourage our Eurovision fans across the nation and Europe to really get behind her, and to become the Dami army!" Even though initially participation of Australian in the Eurovision was envisaged as a one-off to celebrate the event's 60th anniversary and Australia's long tradition of broadcasting the show, on 17 November the European Broadcasting Union (EBU) and Australian broadcaster SBS have confirmed that Australia will participate again in 2016. "The feedback we got from viewers, fans, press and the broadcasters after Australia's participation in Vienna was overwhelmingly positive," says Jon Ola Sand, Executive Supervisor of the contest on behalf of the EBU. "We strongly believe the Eurovision Song Contest has the potential to evolve organically into a truly global event. Australia's continued participation is an exciting step in that direction. It remains to be seen what such an event may look like in the long run"
According to @EBU_HQ account on Twitter, an exemption to the rule prescribing all participants to be Active EBU members was approved by TV Committee and Reference Group of Eurovision Song Contest, representing member broadcasters. SBS is an Associate Member of the EBU and has broadcasted Eurovision Song Contest since 1983. At the same time EBU representatives have highlighted that other Associate members either have not expressed interest in participation, or (as South Korea, expressing some interest towards participation) have no sufficient history of Eurovision broadcasts in their country. Chinese broadcaster Hunan TV that had the delegation in Vienna made of representatives of it's talents show "I am a singer" in order to negotiate enrolling of it's winner into the Eurovision Song Contest, is not an Associate EBU member. Kazakhstani broadcaster Khabar, that used to broadcast Eurovision in the past years, but dropped it in 2015 due to low rankings, only was made Associate EBU in 2016. Kosovo does not have an EBU Member as to join country has to be recognized by the ITU. In Vienna, Australia was guaranteed a spot in the final. Next year, Australia will have to compete in one of the two Semi-Finals. Australia's participation is secured for 2016, but it is yet to be decided whether Australia will become a permanent participant in the contest. "Europe and Australia have a lot in common in regards to cultural values and when a broadcaster is so committed to bring great acts to the contest, the only right thing to do is to be inclusive," says Dr. Frank Dieter Freiling, Chairman of the Reference Group. "This is also a way for many Australians to re-connect with their European roots, and celebrate our shared cultural values and understanding through music"
In case Australia wins the 2016 Eurovision Song Contest, the 2017 contest will be co-hosted by Australian broadcaster SBS and another European public broadcaster, somewhere in Europe. In addition, Australia will make its debut in the Junior Eurovision Song Contest 2015 in Sofia, Bulgaria. The artist who will represent Australia at the 2016 Eurovision Song Contest in Stockholm, Sweden, in May was revealed on Thursday March 3 by none other than Conchita Wurst. Announcement took during Conchita's one-off concert event with the Sydney Symphony Orchestra, Conchita: From Vienna with Love, which also featured special guests Courtney Act, Trevor Ashley & Paul Capsis. This was followed by a special performance by brand new Aussie Eurovision star on the Sydney Opera House stage. SBS was inviting to watch the announcement live through Facebook (at approximately 11:40 AM CET, Thursday 3rd March). Дами Им родилась в Южной Корее 17го октября 1988 года в семье Хэ Юн Ли, оперной певицы, и Донг Ил Има. Им начала играть на фортепиано в возрасте пяти лет и научилась петь, копируя манеру любимых артистов. Когда Дами было девять лет, мама перевезла ее и ее младшего брата в Австралию, поскольку считалось, что там дети получат большие возможности для развития. Она приехала в Австралию еще совершенно не владея английским языком, и научилась говорить на нем слушая поп-исполнителей, таких, как Spice Girls или Мэрайя Кери, и начала записывать свое пение на ноутбук. В возрасте 11 лет Им начала заниматься в молодежной консерватории при Университете Гриффита. Она стала финалисткой в национальном молодежном конкурсе пианистов Yamaha, и несколько раз получала стипендию Норы Берд и премии фортепианных конкурсов Куинсленда. Им посещала колледж Иоанна Павла в Дэйзи Хилл, который она закончила в 2005 году. В 2009 году Им получила степень бакалавриата в Университе Куинсленда, который она закончила с отличием. Далее она получила степень магистра искусств в Университете Гриффита. После получения образования Им работала учителем музыки и игры на фортепиано. "Я играла на классическом фортепиано с пяти лет, и прошла высший уровень экзаменов в 11 классе, потому мои достижения в мире классической музыки были достаточно велики. Однако, я понимала, что классическая музыка - не совсем то, что привлекает меня. Другие студенты в университете просто обожали ее, а я нет. Меня больше интересовала музыка в стиле K-Pop, и такие артисты как Мэрайя Керри, Кристина Агилера и Бейонсе, что говорило мне о том, что я нахожусь немного не на своем месте". В активе Им есть небольшой отрезок, когда она работала госпел-певицей в Корее, выступая в лагерях молодых христиан. В 2010 году, она выпустила свой дебютный сольный альбом Dream, в который вошли девять треков, и который был прежде всего выпущен с целью сбора средств для помощи церкви. В июле 2011 года, Им переиздала альбом с двумя новыми треками на английском. 5 декабря 2011 года в свет вышел рождественский EP Snow & Carol. 9го июля 2012, Им выпустила второй EP - Intimacy. Поездки в Корею и обратно в попытке начать песенную карьеру были лишь временным решением, в реальности же Дами продолжает мечтать о поп-карьере в Австралии. "Я давала какие-то выступления в барах, церквях, но их было очень немного. Я совершенно не понимала, как же мне пробиться на более высокий уровень, ведь у меня не было никаких связей. Мешала и моя природная скромность, я сторонилась того, в чем не была уверена, боялась встреч с новыми людьми и не могла рекламировать им себя, потому это напоминало топтание на одном месте"
При поддержке своего мужа Ноя, Дами все-таки собралась с силами и подала заявку на участие в кастинге на шоу X Factor 2013, правда не ставя перед собой каких-либо ожиданий. "Когда я подавала заявку, я все еще понимала, что очень хочу петь в Австралии, но была в полном разочаровании от того, что не знала как добиться этого. Мой муж вдохновлял меня не сдаваться и попробовать что-то новое. Он повторял мне, что не нужно бояться выходить из собственной зоны комфорта, он видел, что я колеблюсь и мягко подалкивал меня продолжать попытки. В итоге я согласилась с ним и решила попробовать X Factor". Им успешно прошла прослушивание на шоу, исполнив "Hero" Мэрайи Кери. Однако, после перетасовки категорий, оказалось, что она не попадает в новую категорию "Старше 24х лет", которой занималась Данни Миноуг. Но в конце-концов другой из участников отказался от шоу, и Им была призвана заменить его. С самого начала Дами находит полное взаимопонимание со своим ментором и полностью открывается себя для стильного и яркого мира поп музыки. "Я думаю, что Данни увидела во мне даже то, о существовании чего я еще и не подозревала. Она была уверена в том, что во мне есть нечто особенное, и лишь надо было выпустить это наружу, поработав над уверенностью. Большинство из песен, что я пела на конкурсе я и не слышала до того, как она знакомила меня с ними. Когда я впервые услышала "One" группы U2 - первую свою песню в живых шоу - я была очень удивлена, и спросила "что это такое?". Я не понимала, как эта песня может подойти мне, но потом мы поработали вместе, и после исполнения отзывы были потрясающими. Видеть как зрители апплодируют тебе стоя - просто невероятно.". Среди песен, которые Им исполняла на шоу были: "I'm with You" Аврил Лавинь, "Jolene" Долли Партон, "If I Were a Boy" Бейонсе, "One" U2, "Purple Rain" Принса (дебютировала на 29 строчке чарта синглов ARIA), "Don't Leave Me This Way" Тельмы Хьюстон, "Roar" Кэтти Перри, "Best of You" Foo Fighters, "Bridge over Troubled Water" Simon & Garfunkel (дебютировала на 15й строчке чарта синглов ARIA), "Clarity" Zedd, "You're the Voice" Джона Фарнхэма, "Saving All My Love for You" Уитни Хьюстон, "Wrecking Ball" Майли Сайрус. "Я думаю, что моими любимыми выступлениями на шоу были "Purple Rain" и "Bridge Over Troubled Water". В обоих этих песнях я смогла прочувстовать их текст и передать их эмоции. Я всегда хотела воодушевлять людей своими выступлениями, и эти песни как раз помогли мне добиться этого.". Во время финала шоу 27го октября, Им исполнила три песни - песню с прослушиваний ("Hero") - сингл победителя ("Alive") и еще одну композицию по выбору - "And I Am Telling You I'm Not Going" (которая дебютировала на 29й строчке чарта синглов ARIA). На следующий день, Им была объявлена победительницей конкурса. После победы на X Factor, был выпущен дебютный сингл победительницы - "Alive". Она также заключила контракт с лейблом Sony Music Australia. Спустя четыре дня после выхода, "Alive" дебютировал на первой строке чарта синглов ARIA. Он получил платиновый диск от ARIA за продажи свыше 70 тысяч копий. Второй студийный альбом певицы "Dami Im" вышел 15го ноября 2013 года - на него вошли студийные версии песен, исполненных ею на X Factor. Альбом также дебютировал на первой строке чарта альбомов ARIA и получил платиновый статус. Им стала первым конкурсантом австралийской версии "X Factor", что смогла после него выпустить дебютный сингл и дебютный альбом, возглавившие чарты. В ноябре-декабре 2013 года он принимает участие в туре X Factor Live Tour. Третий студийный альбом Им, Heart Beats, в который вошли 8 песен написанных Им в соавторстве с другими композиторами, вышел 17го октября 2014 года, и дебютировал на седьмой строчке чарта альбомов ARIA. Альбом предварял выпуск двух синглов - "Super Love" и "Gladiator", оба из которых заняли 11ю строку в чарте, а "Super Love" также попала в топ 20 чарта Gaon Южной Кореи, и в конце-концов получил платиновый статус. "Еще с подросткового возраста моей мечтой было создать альбом из песен, которые бы раскрывали мою личность. Я мечтала писать собственные песни, выбирать их, записывать их, подбирать им идеальные названия и обложки. Я хотела, чтобы альбом полностью отражал меня, показывал меня таким человеком, каким я являюсь в повседневной жизни. И после невероятного года возможностей, успеха и поддержки, мечта, которая заставляла мое сердце биться, стала реальностью". 25го октября 2014 года Дами Им представляла Австралию на Телевизионном Фестивале АВС с песней "Living Dangerously". Четвертый студийный альбом Дами Им "Classic Carpenters" будет выпущен 22го апреля лейблом Sony Music Entertainment. Новый музыкальный проект певицы - сборник кавер-версий на лучшие хиты группы The Carpenters. 3го марта Дами Им была объявлена представительницей Австралии на Еровидении 2016 на сцене Оперного театра Сиднея победительницей Евровидения 2014 Кончитой Вурст и первым представителем Австралии на конкурсе Гаем Себастьяном в рамках концерта Conchita: From Vienna with Love. Песня "Sound of Silence", которую Дами исполнит на сцене Евровидения, была выпущена синглом 10го марта. "Я невероятно тронута и польщена тем, что мне была доверена честь представлять Австралию на конкурсе этого года в Стокгольме. Я очень рада тому, что смогу проследовать по пути, который уже до меня проложили на Евровидение Джессика Маубой и Гай Себастьян. Я верю в то, что жители Австралии и поклонники Евровидения во всем мире полюбят песню, которую я буду исполнять в Швеции. Я с нетерпением жду возможности показать ее всему миру, и представить Австралию с наилучшей возможной стороны! "Всю свою жизнь я ощущала, что для меня нигде нет места. Я помню, как я впервые смотрела Евровидение со своими друзьями, я подумала, что вот это место как раз подходит для меня. Потрясающие вокалы, сложные, специально разработанные костюмы, все выглядело сумасшедшим, но было потрясающим. И теперь моя мечта сбылась. Евровидение объединяет людей посредством музыки". Сейчас Дами Им обещает, что привнесет на сцену Евровидения свой собственный уникальный и модный внешний вид. Джулия Земиро и Сэм Панг вновь станут комментаторами шоу на телеканале SBS Австралия в прямом эфире из Стокгольма. Конкурс будет транслироваться на SBS в стиле Уикенд с Евровидением - в 19:30 вечера в пятницу 13, субботу 14 и воскресенье 15 мая, в прайм тайм, включая интервью с участвующими артистами и закулисные видео. Поклонники Евровидения также смогут следить ранним утром за прямыми эфирами шоу в среду 11го, пятницу 13го (с участием Австралии) и воскресенье 15го мая (финал). Телезрители смогут проголосовать за то, какая страна получит 12 баллов от Австралии, и они вместе с профессиональным жюри Австралии, помогут определить будущего победителя Евровидения. Сегодня Дами Им выступила на ТВ Австралии с кавер-версией песни Принса Purple Rain. Для Дами это особенная песня, ведь она исполняла ее еще на X Factor Австралия, зрители встретили это исполнение овацией и Дами впоследствии стала победительницей шоу. Австралии удалось избежать проблем после того как к песне Dami Im Sound of Silence были предъявлены претензии о нарушении правил конкурса. Вопрос возник к одной из строк текста исполнительницы: "Пытаюсь почувствовать твою любовь через face time". Конечно же, сразу же на ум приходит FaceTime - функция видеочата на мобильных устройствах Apple. Но правила Евровидения запрещают использовать в тексте песни "месседжи, нацеленные на продвижение любого политического вопроса, компании, бренда, продуктов или сервисов". В сопряжении с фразами "Но малыш, ты не здесь со мной" и "Я звоню, звоню", логичным было бы предположить, что Им и авторы ее песни, команда DNA, действительно имели в виду приложение FaceTime, а не фразу "fece time", которая согласно словарю МакМиллана означает: "время, проводимое с другими людьми при личной встрече, в противоположность от общения с ними по телефону, e-mail или интернету". Но данное определение совершенно не имеет смысла в контексте песни. Однако, к счастью для Австралии, Организационная группа конкурса Евровидение приняла решение, по всей видимости не исходя из общего смысла песни. Она выпустила сообщение, в котором говорится "В тексте песни Австралии, официально заявленном на конкурса, face time написано в два слова, потому это не относится к торговой марке Apple FaceTime"
Если бы решение было принято против Австралии, то, вероятнее всего она бы избежала дисквалификации, но Им бы пришлось переписать текст песни, как приходилось ряду стран раньше, например Сан-Марино в 2012 году с Facebook, или Беларуси в 2014 году с Google Maps. Несмотря на то, что австралийская публика восприняла песню довольно равнодушно, Sound of Silence достигла только 68й строчки в чарте синглов ARIA - песня закрепилась среди фаворитов конкурса по коэффициентам букмекеров, сообщает Sydney Morning Herald. Перед своим выходом на сцену Евровидения в мае, представительница Австралии Дами Им решила снимать для своих поклонников еженедельные видео блоги, рассказывающие о ее подготовке к конкурсу. Первый выпуск дневника был снят в Брисбене перед премьерой видеоклипа на ее песню "Sound of Silence". В нем Дами показала несколько моментов из подготовки хореографии для своего сценического выступления. Также вы увидите, как бедной Дами пришлось вставать в 4 утра, чтобы подготовиться к выходу в эфир утреннего шоу с премьерой ее песни. Дами Им исполнит свою новую песню Sound of Silence на конкурсе Евровидение 2016 в мае. Для того, чтобы оказать незабываемое впечатление на зрителей Евровидения, у этого мощного среднетемпового трека есть гимновый налет и массивный, яркий припев, который призван заполнить арену в Стокгольме, позволяя Дами продемонстрировать свои визитные карточки - вокал и стиль исполнения. Sound of Silence написана австрийскими хит-мейкерами DNA (Дэвид Мусумечи и Энтони Эджайзи), которые работали с крупнейшими именам в мире поп музыки: Рики Мартином, Джессикой Маубой, Натаниелем, Дельтой Гудрем, Timomatic и The Veronicas, а также написали сингл победителя X-Factor "Alive" для Дами Им. Дами Им говорит: "Когда я в первый раз услышала Sound of Silence, то поняла, что это идеальная песня для того, чтобы выступить на Евровидении. Есть множество вариаций интерпретации смысла этой песни, но одна тема в Sound of Silence мне близка - отрыв и нахождение вдали от тех людей, что ты любишь. Мы живем в мире, где легко находится на связи ежеминутно, но даже обладая этой связью, ты можешь чувствовать себя в одиночестве и изоляции. Я не могу дождаться того дня, когда я исполню ее в Стокгольме и выступлю перед совершенно новой для себя аудиторией"
Денис Хандлин, председатель и исполнительный директор подразделений Австралии и Новой Зеландии, президент отделения Азии, Sony Music Entertainment, говорит: "Дами является исключительной австралийской исполнительницей, чей успех закреплен достижениями в чарте ARIA и чартах других стран Азии. Для Дами - это невероятная возможность, стать второй представительницей Австралии на Евровидении, ее выбор является признанием ее преданности делу, невероятному вокалу и динамичному артистизму. Дами - такая исполнительнца, что способна захватить внимание всего мира и завоевать сердца Европы, Sound Of Silence - идеальная песня для нее. Мы рады сотрудничеству с Майклом Эбейдом и SBS, а также с Полом Кларком и Blink TV снова в этом году. Я очень горжусь тем, что Дами получила возможность продемонстрировать свой невероятный талант остальной части мира". Пол Кларк, глава делегации Австралии и директор Blink TV, партнера телеканала SBS, говорит: "Sound of Silence - невероятная песня, и было замечательно работать вместе с Дэвидом и Энтони из DNA. Она действительно демонстрирует хрупкость Дами в куплетах, и удивительную мощь ее вокала в припеве. Это - идеальная песня, позволяющая создать на сцене Евровидения что-то выделяющееся с драматической постановкой и освещением. Все это в процессе подготовки и уже становится очень интересно"
Дэвид Мусумечи и Энтони Эджайзи из DNA Songs говорят: "Sound Of Silence повествует о чувствах ностальгии, расстояния, нахождения вдалеке от того, кого ты любишь. Она о том, как погоня за воплощением мечты может закрутить вас в диком урагане, и забрать вас от тех, кто наиболее близок. В ней исследуется ощущение того, что процесс может потерять свой блеск, если вы не можете поделиться им с человеком, которого вы любите больше всего. Это абсолютная привилегия и радость, что именно Дами Им исполнит нашу песню, представляя Австралию, и выступит с ней на сцене, которая принесла миру таких суперзвезд, как ABBA и Селин Дион. То, что наша песня прозвучит на подобной мировой арене - исполнение нашей мечты". Сегодня сингл на песню Sound of Silence был выпущен в цифровом формате по всему миру. На iTunes его можно приобрести в двух версиях: полной версии, и версии Евровидения. Телеканал SBS Австралия опубликовал сегодня два отрывка видеоклипа на песню "Sound of Silence", которую на конкурсе Евровидение 2016 исполнит представительница Австралии Дами Им. Им и ее лейбл Sony раззадорили зрителей 23-секундным отрывком первого куплета песни, опубликованным в дневное время в Австралии на твиттер и Facebook каналах певицы, но припев песни был придержан до вечера. Поклонникам Дами Им и Евровидения пришлось подождать, пока еще одна минута Sound of Silence не была представлена в телепрограмме SBS2 The Feed. Полную песню, которую выпускает лейбл Sony, можно будет приобрести на iTunes после полуночи австралийского времени (16:00 Москвы). Полный видеоклип впервые будет представлен завтра на сайт телеканала SBS. Сама Им назвала свою песню "среднетемповой балладой". Несмотря на то, что Sound of Silence напоминает по своей стилистике хит Сии Chandelier, эта известная австралийская певица и автор-песен не принимала участие в ее создании. Ее написала сама Им в сотрудничестве с опытной командой авторов DNA, в состав которой входят Антони Эджайзи и Дэвид Мусумечи. Они продюсировали хиты группы The Veronicas (You Ruin Me) и Дельты Гудрем (Wings), помимо прочих. Дами Им была объявлена представительницей Австралии на Еровидении 2016 на сцене Оперного театра Сиднея победительницей Евровидения 2014 Кончитой Вурст и первым представителем Австралии на конкурсе Гаем Себастьяном в рамках концерта Conchita: From Vienna with Love. Телеканал SBS выбрал Дами как наиболее подходящую исполнительницу, способную привлечь к себе внимание всей Европы своим неповторимым стилем и завораживающим вокалом, артиста, которая способна продемонстрировать музыкальный талант Австралии всему миру. Смотрите репортаж SBS World здесь и SBS Pop Asia здесь. Исполнительный директор SBS Майкл Эбейд говорит: "Австралия уже более 30 лет охвачена духом Евровидения, и в прошлом году нам удалось отправить на конкурс своего первого конкурсанта, за победу которого мы все болели. Австралия полностью пленена этим музыкальным конкурсом, проходящим на другой стороне земного шара. За эфиром следили 4 миллиона австралийцев - наибольшее число зрителей за всю историю эфиров конкурса на SBS. Теперь мы еще более рады вернуться в семью Евровидения снова, и Дами - прекрасная исполнительница для того, чтобы сделать следующий шаг Австралии на мировой музыкальной сцене. Суть Евровидения заключается в том, что оно объединяет страны для того, чтобы они могли вместе отпраздновать свое разнообразие и культуру посредством музыки, и этот элемент абсолютно соответствует собственным целям телеканала SBS". Глава делегации Австралии на Евровидении, директор Blink TV, партнера SBS по участию в конкурсе, Пол Кларк говорит: "Мы невероятно рады тому, что были приглашены в Швецию, и мы считаем, что не могли и мечтать о более сильной представительнице. Дами обладает невероятным музыкальным талантов, и ее песня похожа на современную австралийскую сказку. Я ожидаю того, что Евровидение 2016 станет захватывающей, поворотной главой как для нее самой, так и для поклонников Евровидения. Дами обладает столь мощным голосом, что может захватить внимание Европы. Я призываю поклонников Евровидения в нашей стране и в Европе поддержать нашу конкурсантку, и стать армией Дами!" Даже несмотря на то, что изначально участие Австралии в Евровидении было объявлено как разовое исключение в рамках празднований 60й годовщины конкурса и долгой традиции австралийских эфиров шоу, 17го ноября Европейский Вещательный Союз (ЕВС) и Австралийская телекомпания SBS подтвердили, что Австралия вновь примет участие в конкурсе в 2016 году. "Все отзывы, которые мы получили от телезрителей, поклонников конкурса, прессы и национальных вещателей после участия Австралии в Евровидении в Вене были исключительно позитивными", говорит Йон Ола Санд, исполнителный супервайзер конкурса от лица ЕВС. "Мы верим в то, что у Евровидения есть потенциал органически развиться в по настоящему глобальное событие. Продолжение участия Австралии - это еще один захватывающий шаг в этом направлении. Нам еще предстоит выяснить, как будет выглядеть конкурс в долгосрочной перспективе"
Согласно информации, предоставленной представителями ЕВС в Твиттере, исключение из правил, предписывающего всем телекомпаниям-участницам конкурса быть Активными членами ЕВС, было утверждено Телевизионным Комитетом и Организационной группой конкурса, представляющей всех его вещателей. SBS - Ассоциативный член ЕВС и вещает конкурс Евровидение с 1983 года. В то же время представители ЕВС подчеркнули, что другие Ассоциативные члены либо не изъявляли желания к участию в конкурсе, или (как Южная Корея, интересовавшиеся возможностью участия) не имеют достаточной истории эфиров Евровидения в своей стране. Китайский вещатель Hunan TV, который направил в Вену делегацию, состоявшую из представителей шоу талантов "I am a singer" для того, чтобы обговорить возможность включения победителя этого шоу в конкурс Евровидение, также не является ассоциативным членом ЕВС. Казахстанский вещатель Хабар, который транслировал конкурс в прошлые годы, но отказался от его показа в 2015 году из-за низких рейтингов, также не является ассоциативным членом ЕВС. Косово не является членом ЕВС, поскольку для того, чтобы иметь возможность вступить в него, страна должна быть признана ITU. В Вене, Австралии было гарантировано место в финале. В следующем году, Австралии придется состязаться в одном из двух полуфиналов конкурса. Участие Австралии подтверждено на 2016й год, но пока не решено, сможет ли Австралия стать участником конкурса на постоянной основе. "У Европы и Австралии есть много общество по отношению к культурным ценностям, и, когда вещатель так стремится привнести на Евровидение своих сильнейших исполнителей, единственным правильным решением может быть - согласиться на его включение", говорит Др. Франк Дитер Фрайлинг, председатель Организационной группы конкурса. "Это также является способом для многих австралийцев соединиться с их Европейскими корнями, и вместе чествовать наши общие культурные ценности и взаимопонимание посредством музыки"
В случае, если Австралия одержит победу на Евровидении 2016, в 2017 году, конкурс будет проводиться совместно австралийским вещателем SBS и другим Европейским общественным вещателем в одном из городов Европы. Помимо того, Австралия также дебютирует в конкурсе Детское Евровидение 2015 в Софии, Болгария. "SBS в восторге тому, что смогла обеспечить возможноть для Австралии принять участие в Евровидении 2016 в Стокгольме, и мы благодарны Европейскому Вещательному Союзу за его приглашение. Конкурс Евровидение - это прекрасный пример культурного разнообразия и социальной интеграции, и продолжение нашего участия в нем дает фантастическую возможность продемонстрировать австралийский музыкальный талант в по настоящему международном мультикультурном празднике. Наш партнер Blink TV играл важнейшую роль в поддержке нашего желания увеличить присутствие Австралии на крупнейшей сцене мира, и вместе мы с нетерпением ждем возможности вновь показать конкурс Евровидение на наших экранах", говорит генеральный директор SBS Майкл Эбейд. "Мы поняли, что Евровидение - это крупнейшее сообщество музыкальных продюсеров и музыкальных аудиторий в мире, и потому мы очень благодарны за возможность принимать участие в нем. Австралия вскарабкалась на волну растущего восторга от участия в Евровидении, и потому мы хотели показать что-то аутентичное, и выбрали очень популярного артиста. Если мы снова будем приглашены к участию, то мы выберем еще более известного артиста - мечтать надо о великом - ведь шоу настолько огромно", заявил Пол Кларк, директор компании Blink TV, после Евровидения 2015 в Вене. "Швеция всегда поддерживала наше участие, мы разделяем с ними любовь к музыке и странное чувство юмора. Шведские зрители дали Гаю Себастиану в этом году 12 баллов. Мы невероятно рады новой возможности представить австралийский музыкальный талант на крупнейшем музыкальном шоу Европы и продолжить наше сотрудничество с SBS", он добавил в ноябре. Представитель Австралии на Евровидении 2016 в Стокгольме был объявлен в четверг 3го марта Кончитой Вурст во время ее концерта с Симфоническим оркестром Сиднея: Conchita: From Vienna with Love, в котором также выступили специальные гости: Courtney Act, Trevor Ashley & Paul Capsis. После этого на сцене Сиднейского Оперного Театра было показано специальное выступление нового представителя Австралии на Евровидении. SBS приглашало следить за объявлением в прямом эфире на Facebook (примерно в 13:40 Москвы в четверг 3го марта). И оно бьется под звуки тишины. FaceTime - программа для видео звонков в продукции Apple, в то время, как "face time" - английская идиома, подразумевающая непосредственный личный контакт или взаимодействие между людьми в одной и то же время и одном и том же месте.